Ophenia Liang is the Co-founder & Director of Digital Crew. Liang is a specialist digital marketer into China with both academic and practical experience across the APAC region. She has assisted key global brands to enter and grow in the Chinese market through her strategic planning, execution and evaluation. She is also a highly sought-after speaker, as a result of her knowledge and digital marketing expertise selling into Asian markets, particularly China. Liang's area of expertise covers Chinese marketing, team management, account management, strategic planning, international media planning, PPC (GAP Qualified), Baidu SEM (Senior consultant), SEO, social media and web analytics. 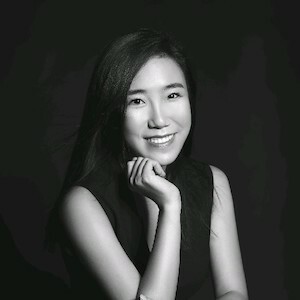 She holds a public relations degree from Sun Yat-Sen University, a Masters in Marketing from Melbourne University and is an accredited translator with the National Authority of Translators and Interpreters. Awards: Ophenia is Winner of City of Sydney Business Award, Young Entrepreneur 2017; Winner of ACAA ICT & New Media Award 2017; and finalist of B & T Women in Media 2017.